This blog is a personal blog written and edited by me. For questions about this blog, please contact jenn_niel@hotmail.com. This blog accepts forms of cash advertising, sponsorship, affilations, paid insertions or other forms of compensation. This blog may contain content which might present a conflict of interest. 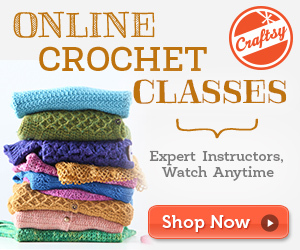 All crochet patterns are property of Niftynnifer's Crochet &Crafts and are copyrighted and protected . They are not to be distributed by anyone but me. You may sell, gift, share or donate your finished work as long as it is attributed to me. All content published on this site is property of niftynnifer.com, including photos, written material. Any replicated site content must be preauthorized by niftynnifer's. Contents from this site can not be used or exploited in any way, commercial or non commercial, without prior, written approval by Niftynnifer's. Niftynnifer's reserves to right to modify, update, discontinue, a pattern at any time. Prices are subject to change, at any time, with or without notice. Niftynnifer's cannot accept responsibility for typographical errors or misinterpretation of instructions. Niftynnifer's cannot take responsibility for human error. All patterns come 'as is' without any kind of warranty. Support, like sizing and/or alterations are not available for free patterns. One on one support/help is not available for free patterns. If you find errors in a pattern, please contact Niftynnifer's at jenn_niel@hotmail.com. 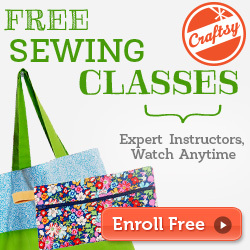 Every effort has been made to ensure the accuracy of our Paid patterns. Niftynnifer's, however cannot accept responsibility for typographical errors or misinterpretation of instructions. Niftynnifer's cannot take responsibility for human error. All patterns come 'as is' without any kind of warranty. Support for sizing and/or alterations are not available for paid patterns, however, some updates may include these sizing and/or alterations with or without notice. One on one support is available for paid patterns according to the pattern, without alteration. After receiving full payment of your pattern(s), you will be able to download your PDF pattern and go right to work. As we are offering non-tangible digital goods, we do not generally offer refund(s) after purchase(s) have been made. 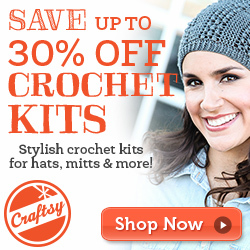 All Paid crochet patterns are property of Niftynnifer's Crochet &Crafts and are copyrighted and protected . They are not to be distributed by anyone but me. You may sell, gift, share or donate your finished work as long as it is attributed to me. All Paid Pattern content published is property of niftynnifer.com, including photos, written material. Any replicated content must be preauthorized by niftynnifer's. Contents from my paid patterns can not be used or exploited in any way, commercial or non commercial, without prior, written approval by Niftynnifer's. Niftynnifer's may on occasion send you emails related to your pattern purchases. These emails may include updates or other related changes. By using, downloading or purchasing our product(s) you indicate that your have read and accept the Terms & Conditions detailed on this page. Niftynnifer's work is licensed under a Creative Commons Attribution-NonCommercial-NoDerivs 3.0 Unported License. Niftynnifer's is currently upgrading all patterns. Upgrades may/may not include: more sizes, photos, videos, easier to follow instructions, a more professional appearence, and copyrights. 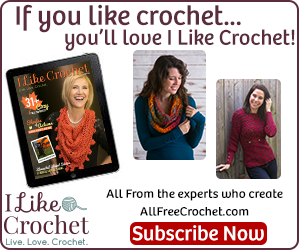 In order to help keep crochet patterns free, this blog accepts forms of cash advertising, sponsorship, affilations, paid insertions or other forms of compensation. Meaning, I will recieve a small compensation if you click the link/ads and/or make purchases. Follow Niftynnifer's Crochet & Crafts's board Niftynnifer's Crochet & Crafts on Pinterest. Copyright © www.niftynnifer.com. All rights reserved. Powered by Blogger.